$11.95 In stock. Order in the next 4 hours, 13 minutes and it will go out today! 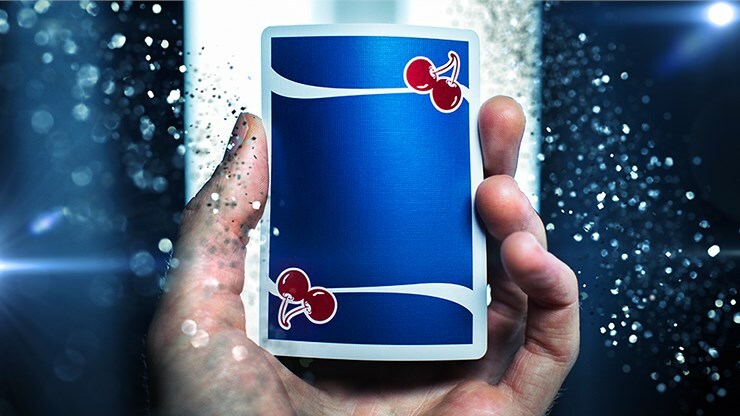 Without a doubt, the new version of the Cherry Casino Playing Cards (Tahoe Blue) is one of my favourite decks in recent times. 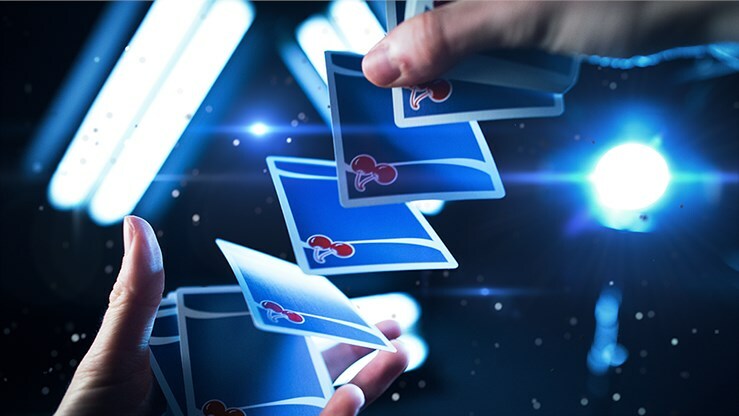 It's just so versatile and practical, ideal for card magic and playing card games, while also adding an immediate touch of style and class courtesy of the bold metallic ink that is used for the signature "tahoe blue" colour on the tuck case, and all the maroon colours that substitute for the traditional garish red. Created under the Pure Imagination label, designer Sam Devins has teamed up with Derek McKee to produce something truly special. 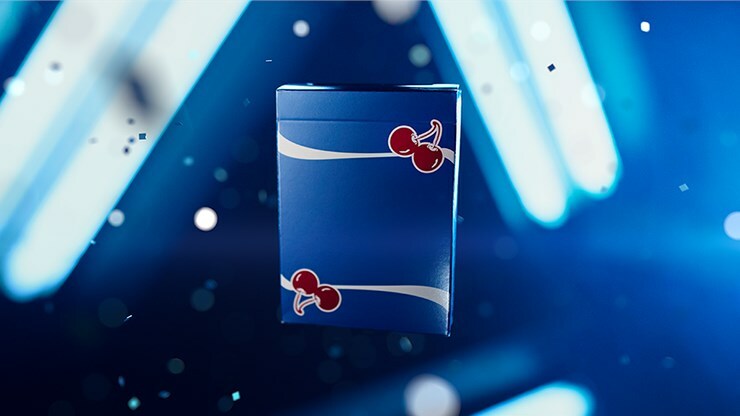 The concept of a Cherry Casino deck is at this point hardly new, and most playing card connoisseurs will already be familiar with several versions of decks with this name that have preceded the Tahoe Blue edition. The original aqua coloured Cherry deck was published in 2015, and several versions followed in successive years, including one in black. 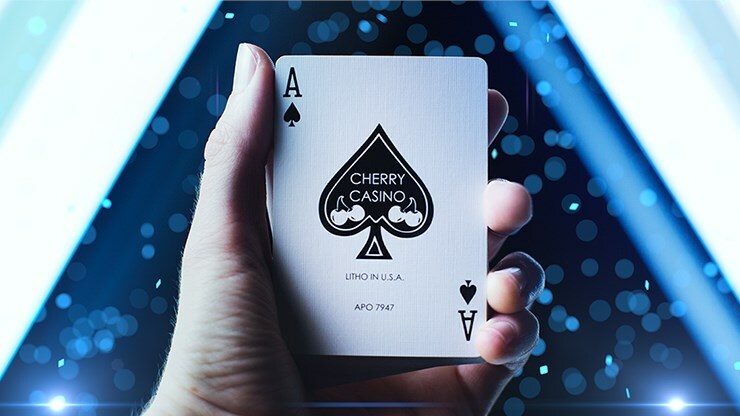 As evidenced by the Cherry Casino name, the idea behind the decks in this series is to draw on the image of an old time casino, hence the classic cherry artwork that is familiar from slot machines, an iconic symbol of gambling. But now with this latest deck, the casino has moved to Lake Tahoe, one of the clearest and deepest lakes in the United States. That's what accounts for the classic cherry being set against the background of an inviting pearlescent blue, presented in a metallic ink, and creating a colour that you can easily immerse yourself in - just like the famous lake. The other colours are as normal, although the blue is more muted, to fit better with the lake inspired colour of the card backs. 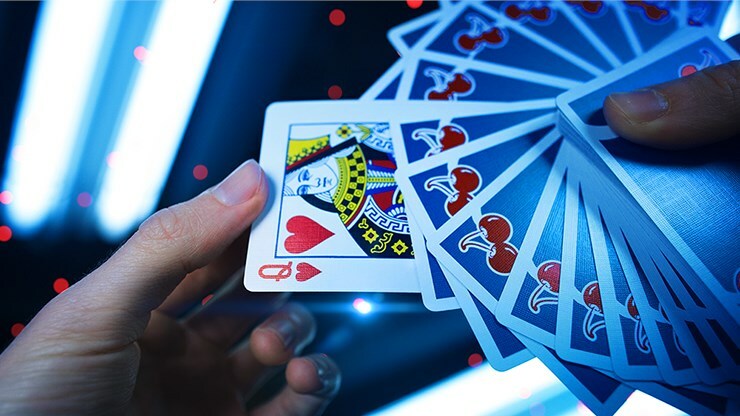 For the rest the customization is as expected for a very practical deck, with an oversized pip on the signature Ace of Spades reminding us of the Cherry Casino brand. And of course we have two custom Jokers, featuring two luscious metallic cherries, compliments of East Las Vegas Nevada, with the word "Jackpot" functioning as an appropriately thematic substitute for the word "Joker". In addition there are two gaffs, a double backer and a blank card.